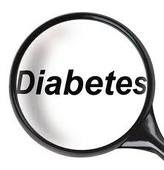 Diabetes is a metabolic disorder and is characterized by high blood glucose level. Everything that we eat is converted into simple particles after complete digestion. Carbohydrates are converted into glucose eventually. fatty acids and amino acids can also be converted into glucose when glucose supply decreases. efficiently by the body for energy production in normal conditions. The human body has an organ called pancreas. It secretes insulin. insulin level is high when the blood glucose level is high. Blood glucose level rises after a meal, so insulin level in blood is higher after a meal. In diabetic patient, two things happen. To understand why blood glucose level rises in diabetes, it is necessary to know the function of insulin. Insulin is a hormone which regulates normal blood glucose level. It induces glucose channels, which increases the permeability of cell membrane for glucose and make it available to the cell for the process of energy production. The blood level of glucose raises because glucose can't enter into the cells, instead, glucose remains in the blood, and the level of glucose in the blood rises. What is meant by the Decreased response by the cells to Insulin? when glucose levels rise in the blood, the pancreas secretes insulin. This insulin induces pores formation in the cell membranes. These pores allow only glucose to pass through them. Sometimes cells don't show adequate response to insulin, It means, the membrane permeability to glucose won't increase after an increase in insulin levels, as a result, glucose fails to enter into the cells and its level in blood rises. The raised glucose in blood, in turn, stimulates the pancreas to secrete more insulin but again the cells will not show adequate response and this vicious cycle continues, as a result of this vicious cycle, the pancreatic cells will eventually exhaust and such diabetes then may be converted into type 1 diabetes. Type I diabetes: Diabetes due to a decrease in insulin secretion is called Type 1. the beta cells of the pancreas don't secrete enough insulin. and blood glucose levels rise. Type II diabetes: Diabetes due to lack of response by the cells to insulin is called Type two. obesity is the main cause of this. Gestational Diabetes: Pregnant women have high blood glucose levels and is called gestational diabetes. It is reversible, that is after delivery blood glucose level comes to normal. In diabetes, the blood glucose level rises. and glucose can't enter into the cells and the cells will look for the alternate source of energy. The glucose is excreted in urine, So urine contains a high glucose level, which can be detected in the laboratory, which is a diagnostic measure. But cells will try to survive and for this they require energy. So they will use alternately available nutrients for energy production. The alternate nutrients are fatty acids and amino acids. The body fat storage will decrease and blood fatty acid, cholesterol, and Triglyceride levels rise. and the patient will lose weight as a result of increased fat and protein utilization for energy production. all these effects are a result of lack of the capacity of the body to use glucose. Blood glucose is high in diabetes which causes damage to kidney and eyes. increased levels of fatty acids and triglycerides will cause narrowing of blood vessels which can cause heart problems, stroke and Hypertension. Best Ways to prevent diabetes. Regular exercise, jogging, swimming, walking etc. If diabetes occurs follow the advice of the doctor and act accordingly and avoid sweet foods and take medicine regularly and on time. Diabetes is a manageable disease. and you can live a healthy normal life with diabetes if you follow your doctor's advice correctly.